British Railways built 4MT 2-6-0 No 43049 drawing empty stock from the carriage sidings onto the down passenger line. Built at Horwich works in November 1949, No 43049 was one of Ivatt's post war utility locomotives incorporating a number of features seen in the US locomotives brought to the UK during the Second World War. 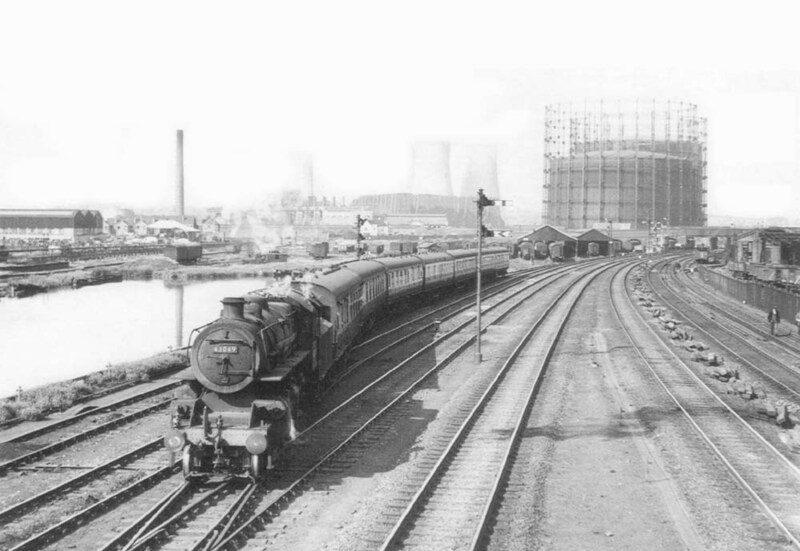 The locomotive remained in service until August 1967 when it was withdraw from 12A Kingmoor shed in Carlisle to be scrapped.